Although the Utah Shakespeare Festival (www.bard.org) has been going strong for well over 50 years, some big changes are afoot for the 2016 season. 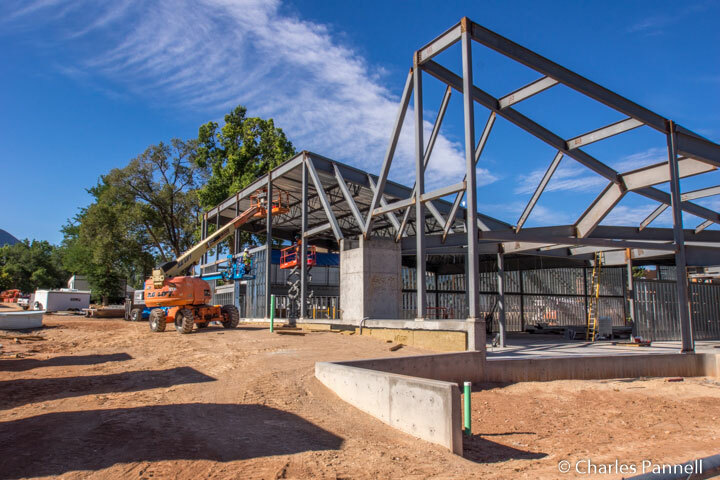 And that’s a good thing for wheelchair-users and slow walkers; as not only are there two new very accessible theaters at the Cedar City venue, but there’s also a beautiful new art museum on the Southern Utah University campus. Plus as always, The Utah Shakespeare Festival is one of the only US events where visitors can see six classic and contemporary plays in just three days time, and also enjoy bevy of free workshops and interactive festival experiences. In short, it’s repertory theater at its finest. 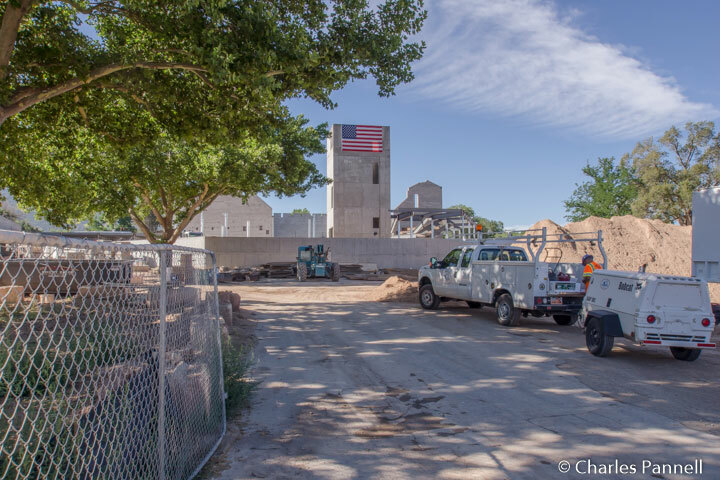 The new Engelstad Shakespeare Theater was proudly christened on July 7, 2016, with a frolicking rendition of The Three Musketeers. 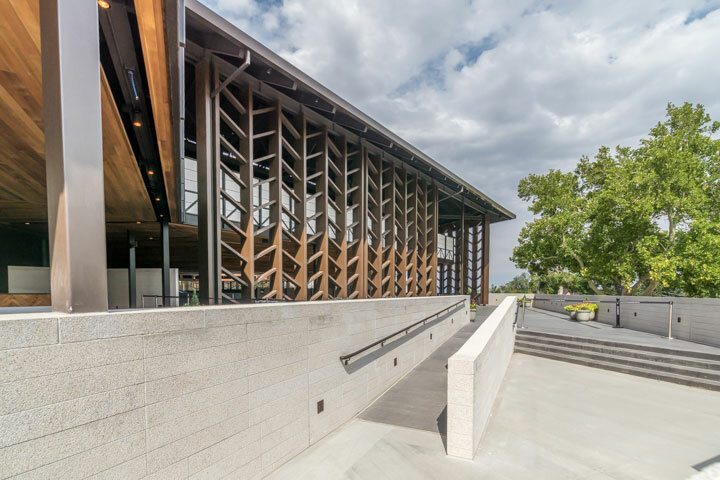 Although this open-air structure is reminiscent of Elizabethan theaters, it also boasts a full contingent of modern amenities. And since the Engelstad replaced the Adams Theater which was built prior to the passage of access laws, the new structure boasts access features that were factored into the plans from the get-go. And that’s a win-win plan for wheelchair-users and slow walkers. This 910-seat theater features ramp access to the main level, and elevator access up to the balcony. The accessible seats are dispersed throughout the venue, with wheelchair-seating available in the front and rear orchestra areas, as well as in the balcony. Previously patrons have to navigate a steep staircase to access the balcony, but the new theater opens up this seating option to everyone. Slow walkers will also appreciate the elevator access, even if they don’t require accessible seats. The new theater also incorporates restrooms, a concession area and a nice dining area all under the same roof. The old theater didn’t have any restrooms, so patrons had to use the small and difficult-to-access facilities in the adjacent auditorium. And to be honest you pretty much had to possess the speed of a cheetah in order to complete a restroom break during the short intermission. The new facility offers accessible restrooms on all levels, which is a much welcome change for theater-goers. 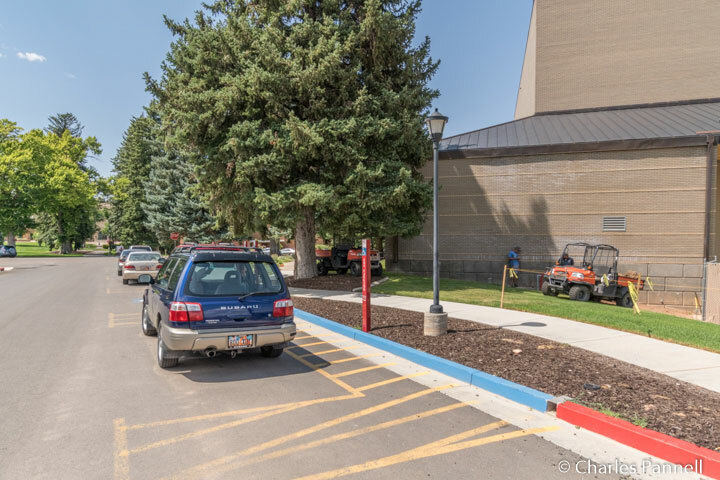 As an added bonus, several new accessible street parking spaces were added on Shakespeare Lane (formerly College Way) near the west entrance of the new theater. There is also an unofficial drop-off area along this one-way street, which is used extensively by the locals, and seems to work for many slow walkers. The down side of the new Engelstad Shakespeare Theater is that not all of the accessible seating options appear on the current on-line seating charts. Hopefully that will be rectified in the future, but for now it’s best to deal with a live person at the ticket office for the best selection of accessible seats. Although it’s a short stroll to the public parking lot on the corner of University Avenue and S 300 W Street, there’s a large drop-off area near the north side of the theater on University Avenue. From there it’s a short level roll through the entry plaza over to the theater entrance. Accessible restrooms are located on the other side of the concession stand, near the ticket office. Accessible seating is available in the front rows on both sides of the theater. For slow walkers and patrons who can transfer, there’s barrier-free access to these seats, with room to store walkers and wheelchairs by the theater door. The ushers are quite helpful and will happily retrieve assistive devices at the end of the show. And for those folks that can’t transfer, the first row seats can be removed. It’s important to specify that you can’t transfer when you make your reservation though, as two seats need to be removed in order to accommodate a wheelchair. And as with the Engelstad Theater, it’s best to call the box office or buy your tickets in person if you need accessible seating. 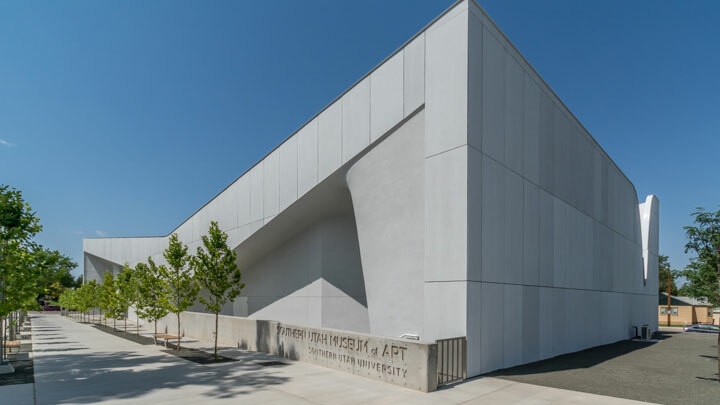 Located on the southeast corner of University Ave and S 300 W Street, the Southern Utah Museum of Art (www.suu.edu/pva/suma) also opened its doors this summer. Located just a short level walk from the Engelstad theater, this student-run museum features photographs, paintings and other works of art of Southern Utah and the surrounding Colorado Plateau. The museum grew out of a legacy donation by Jimmie Jones, a Utah artist noted for his Southern Utah landscapes. Although the museum has been in several temporary venues since the artist’s death in 2009, the original 15-painting bequest is still part of the museum’s permanent collection. The building — which is an interpretation of a Southern Utah slot canyon — is a work of art itself. The canyon-like roof and a massive 5,000 square-foot canopy are designed to blur the boundaries of the indoor and outdoor spaces. And access is excellent all the way around, with level access up to the front door from the adjacent plaza, and plenty of room to navigate a wheelchair in the massive gallery. There are also accessible restrooms near the museum entrance. Along with the Jones permanent collection, the museum also hosts a number or rotating exhibits throughout the year. Currently you can see a fun collection of Kevin Kehoe’s western paintings. The exhibition is titled “Western Therapy”, and it stems from the artist’s desire to pursue his dream of becoming a painter, while drawing inspiration from the tranquil beauty of the Western landscapes that surround his home. The exhibition runs through October 1, 2016. Best of off, there’s no admission charge for this – or any other – exhibition at this excellent Southern Utah museum.